What is a Maven? 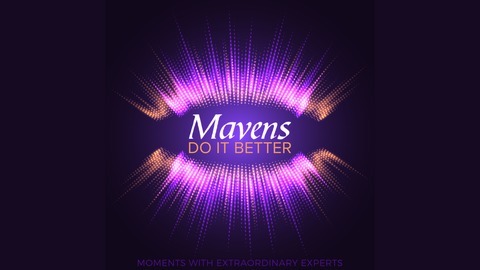 A maven is an expert, sometimes a self-proclaimed one. We catch up with experts or "mavens" in their industries who do what they are passionate about, bring the hustle and light up an extraordinary spark in our world. Sometimes we eat, sometimes we drink, sometimes we do it outside, sometimes from a noisy expo hall, sometimes there is glitter, sometimes there is popcorn and sometimes we dance. But every time we talk about life and biz. 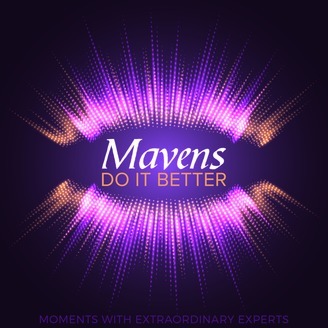 We catch mavens wherever they are in the world, cause they simply do it better. Tracy, Jethro and Heather caught up in the car driving Jethro to his flight out of O.R. Tambo International Airport, Gauteng, Johannesburg, South Africa. The experience of being in a van on a road trip through South Africa with other Microsoft community members and what it means to build community. Both Tracy and Jethro’s journey in tech, education, training and how they came to the roles that they are currently in today. Jethro’s talks about his background, Microsoft Teams – education and Tracy chats about her start in technology and working with c-levels and businesses on their PC and Office 365 acumen. The importance of supporting each other, how we learn, how we raise the bar for basic PC literacy, how we empower people to be their best selves not only at work but in everyday life. Thank you to AvePoint and SkySync for their sponsorship of the 365TourZA. Thank you to Tracy van der Schyff, Alistair Pugin, Warren Marks and Brandon Botes who produce and coordinate the SharePoint Saturday Community Events in South Africa and the 365TourZA. SPS Durban is coming up Saturday May 11th, register here. Tracy van der Schyff is a Microsoft 365 Coach and Catalyst who facilitates the evolution of human capabilities: She is an energetic, hyperactive adrenaline junkie who sees challenges / issues as opportunities and thrives on improving processes, environments and the general quality of life. Her broad knowledge about IT AND Business gives her the ability to communicate on both levels and convey meaningful requirements and narrow the (ever present) gap between the two. Tracy’s passion is to empower people and therefore training and change management lie close to her heart. Tracy’s mission is to positively impact WHAT and HOW people create, as she believes that what we design / create, designs / creates us back (Ontological Design). It is about enabling others to serve themselves better, expand their possibilities, increase their capacity to learn, act more effectively and better design their future. Tracy is a highly sought after lecturer, workshop host, speaker, and blogger – she challenged herself and wrote a blog every day for two years – one series on called https://tracyvanderschyff.com/microsoft-365/ and another called Around the Office in 365 days. Her book on Adoption and PC Literacy will be coming out this year. Jethro Seghers is a Senior Program Manage for Microsoft Teams – Education. Jethro has been involved in Microsoft Technologies since 2000. He covered those technologies from many different angles: developer, architect, trainer, IT manager, solutions architect and business leader. The last few years he focused on and became certified in SharePoint technologies. Office 365 became one of his biggest expertise areas where he was awarded Microsoft MVP in Office Servers and Services. Within these technologies Jethro focused on the end user experience and the architecture. He loves people to fully understand the possibilities the cloud brings for them and how they can maximize it to increase their business. Jethro’s interests vary from rebuilding classic cars, practicing classic culinary training, and spoiling his French bulldog, Mia. He is a European (Belgian) currently living in the USA. He is an author and blogger and loves to give back to the community by speaking at numerous conferences around Cloud Services.